Strength & Conditioning is the next step for our youth to make after developing & mastering the skills in their given sport. Our youth specific S&C Program is designed to lay the foundation for our students to physically dominate in their sport and in life. Through our programs, our youngsters will build lean muscle, strengthen bones, reduce the chance of injury & where needed shed excess body fat. This is the key to building power & size. Firstly, our students must be coached to move correctly, develop strength around their core and then finally build their body physically by SAFE resistance progressions to maximize their PERFORMANCE and reduce injury on the playing field. Improve speed by increasing fast-twitch muscle, Improve agility through reaction games and drills. Stretching is also an important fundamental for speed & agility. Fun, functional circuits to develop our youngsters in anaerobic fitness & stamina to last the full game of sport whatever that may be AND shed excess body fat if needed. It does not matter how good the student is, if the student lacks confidence in their sport, this may be the difference to be empowered to win or not. Our goal is to inspire our students in a safe and trusting environment. We use positive reinforcement & discipline to empower our students. Nutrition is now considered critical in every sportsperson’s protocol. If you believe your youth needs extra support or assistance in this area, enrol our Precision Nutritionist to guide them. Our in-depth Holistic Postural Assessment& Physiological that uncovers stress on the body, muscle weaknesses and tightness caused by overuse. Perfect for youth you experience pain when they move in sport or in general life. Our After School Program is a 60- minute, weekly or bi weekly Program. We recommend our students to attend 1-2 times per week for 6 months to optimize their results. NOTE: If our students need more training they may be required to come during our Holiday Strength & Conditioning Camps. THESE TIMES DO NOT SUIT? Click here and we will reach out to create your own trial class time slot. Perfect for teams who want to Strength & Condition together. This 2-hour a Day, 6 Day a Week Intensive Camp is designed to take our students to the next level in their strength & conditioning with velocity for their sport. Depending on each Students experience, goals & workload, they are expected to train 3-6 days per week. Our Students include top young Basketball Players, Tennis Players, Rugby Players, Netball Players and other sporting athletes in Athletics competing in Hong Kong & Internationally. NOTE: Includes Stretching & mobility. My son Alexander loves sport and I wanted him to keep fit and active during the holiday. Fitness and health are very important and instilling it at an early age in a fun environment is really positive and beneficial. 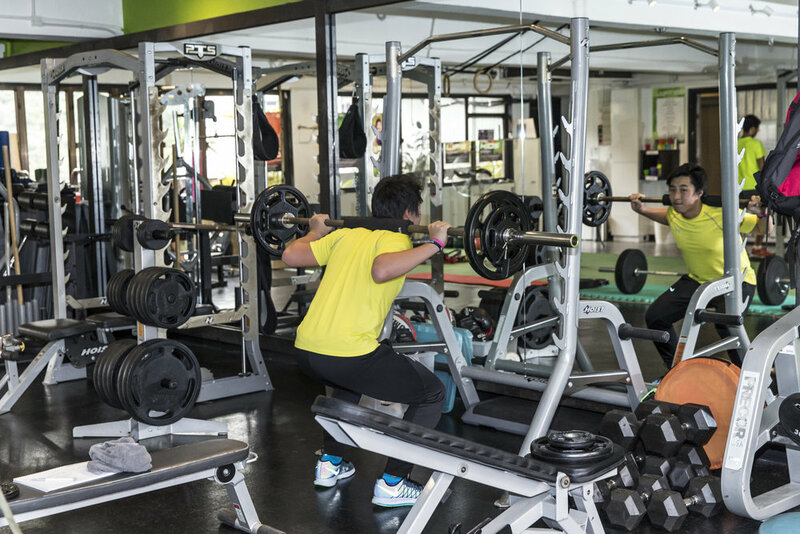 It is so difficult to find a gym which will take kids at this age so to find one with a tailored programme for youngsters that keeps them motivated is a real find. Our doctor recommended my son, Jack, to come to EPT initially as his legs were getting sore from running on concrete, to strengthen his muscles and to reduce the pain in his legs. He also advised he should reduce the duration of his runs. Before he came he was seeing the physio twice per week. Jack is not keen on team sports, much preferring running, but he really liked coming to the gym. Youth FIRE at EPT has been great for Jack, it has boosted his confidence, and this transfers into his PE classes and other sports. He likes the smaller groups, where nobody is competing and the trainers ensure the kids have fun; importantly he’s also becoming stronger. He’s been recommended to use self-myofascial release (Trigger Point) and stretching after his workouts. He’s also found the nutrition talks for kids really helpful. I will definitely recommend EPT to friends.